Fruits4Real is a fun, fruit-themed casino that welcomes Aussie players with hundreds of pokies and table games. Fruits4Real casino is defined by a mix of four elements: unlimited gameplay, 100% fair gaming, one extra bonus/free spin deal added weekly and fast and secure banking. 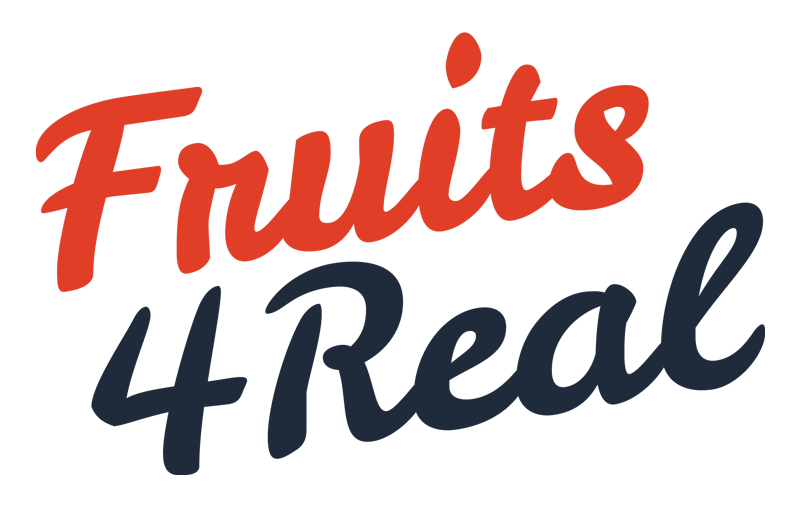 Fruits4Real provides a state-of-the-art gameplay experience with high-definition audio-visuals, smooth and uninterrupted experiences and rewarding bonuses for new and loyal players alike. The venue relies on the courtesy of an impressive collection of leading software developers, Flash-based, no download needed. Solid platform and customer support. This Fruits4Real Casino review will now describe the selection of games, site design and software developers this venue used. The solid website structure revolves around the cheerful, fruity theme of the casino, which is a plus for pokie lovers. The clean, crisp design takes players back in time, when the very first fruit slots were invented, immersing them into the thrilling and engaging atmosphere. The site offers excellent quick search features by game providers and games for smoother experiences. The main menu is simple, neat and divided up into five categories: home, games, promotions, news and support. We found the News section particularly interesting and helpful for finding out about the most recent winners, developing new skills or learning new tricks. Video Slots – Africa Goes Wild, Crystal Ball, Mighty Dragon, Magic Stars, Book of Crazy Chicken, Good Girl Gone Bad, Ramses Book, Hot Party Deluxe, The Angler, and hundreds more. Fruit Slots – Bomb Explodiac, Royal Seven, Sparkling Fresh, Lucky Little Devil, 7 Up!, 7 Fancy Fruits, Bomb Explodiac, Magic Target, Fresh Fruits, Fire Birds and more. Jackpot Slots – A Night In Paris, Apollo God of Sun, Scrooge’s Jackpot, Bandida, Trick or Treat?, Wild Rubies, The Land of Heroes, Roman Legion, Crystal Ball, Mr. Vegas etc. Table Games – Oasis Poker, European Roulette, 21 Burn Blackjack, America Poker V, American Gold Poker, Single Deck Blackjack, Baccarat and more. Unfortunately, we could not find any live casino games, which is a drawback in our opinion. Players who are less into slots and more into live table games can still enjoy fun and diverse gameplay here, despite the missing category. We can only speculate the venue will add live casino games to their selection in the future, especially since they use software providers that are fully compatible with online gaming. All games can be accessed via PC, Mac, Android and iOS devices and are powered by popular software developers such as Amatic Industries, Betsoft Gaming, Endorphina, Gamomat, StakeLogic, The Art of Games, Wazdan and others. All pokies and table games can be played in demo mode without registering or downloading any apps/software. The casino offers players a plethora of 100% safe and highly reliable banking solutions for making payments and withdrawing their winnings. The list of current options includes Neteller, Visa, Klarna, Internet banking, Paysafecard, Bitcoin, NeoSurf or Skrill. Gamblers must deposit a minimum of €10 and a maximum of €1000 per transaction. We could not find any AU$ equivalents at this time. No transaction fees apply. All banking options use the SSL protocol for safe and simple transactions. All withdrawals require players to go through ID identification. Requests can be cancelled by players within 24 hours, at which time the money will be refunded into their accounts. All withdrawals usually take 1 to 3 business days to process. The casino is owned and operated by Dialinvest International N.V. The venue is fully licensed and regulated by the Government of Curacao, registration Number 91409 and incorporated under the laws of the Government of Gibraltar. Players can access the FAQ section for a brief search, or they can benefit from professional customer support via live chat and email. The FAQ section incorporates important questions and answers on a variety of casino-related matters, including Getting Started, Privacy & Security, Promotions, Games and more. There is no phone support as of this moment, which is specific to casinos licensed in Curacao. Fruits4Real is a fruit-themed slots casino featuring hundreds of video, fruity and progressive jackpot slot games and generous promos that entice fresh and returning players. All in all, a good casino with HD features and smooth gameplay. Fruits4Real Casino hosts a rich selection of bonuses and promotional deals. New players and loyal gamblers can make the most of their first and secondary deposits and claim their welcome bonus, second and third bonuses and excellent free spins offer available at the beginning of every month. The general wagering requirements are accessible in the Bonus section of the casino. The standard wagering requirement is 40x, unless different instructions are given. Making a first deposit here will bring a new player a 125% welcome match bonus, on top of 60 free spins. This bonus brings players a 50% match bonus on top of 20 free spins. Gamblers can collect a 50% match bonus and 20 free spins for their third deposit here. At the beginning of each new month, players can make a $20 and claim 50 free spins.